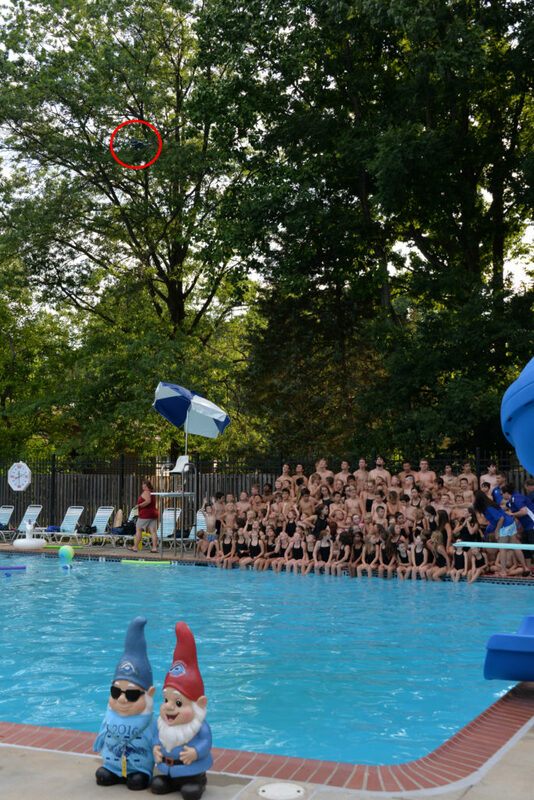 On another summer-related note, my boys had their swim team picture last night for the Hiddenbrook Hurricanes. I’ve said before that nothing gets a kid’s attention like a drone. That isn’t always a good thing, but in this case it was. You can image how hard it was to get this many kids (and my for a time screaming 3 year old) ready for a team photo. 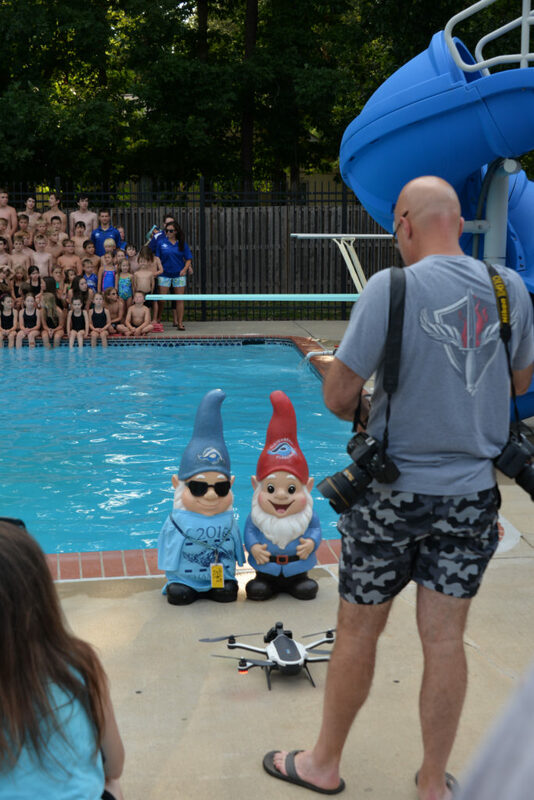 But out came the drone, and every child was captivated and ready to get their picture taken! Drones in the Ocean State Housing Market! Today’s post will be brief so you can enjoy the great aerial photography courtesy of a friend from my New England days, Donnie Bennett. He is a realtor up in the Ocean State (as well as DJ, talk show host, skilled photographer, and all-around great guy). As you can probably tell from his website, he finds ways to innovate for his clients. So I shouldn’t have been surprised when I heard he got into aerial photography. Given his skill and the natural beauty of (much of) Rhode Island, it is sure not to disappoint. I enjoyed hearing how he has used the Part 107 requirements regarding operating over others to his advantage. He provides flyers to neighbors and attempts to meet them – both to explain what he is doing and sharing his business. There has been a lot of talk about how to address some of the thornier issues regarding using UAS in populated areas and I think Donnie hit it on the head – you can’t legislate courtesy. Not to be outdone, Zillow has an update for Real Estate agents who want to get into the aerial photo game too. Except for one comment, there is no mention of insurance, however. This is a glaring lapse, in my opinion. I’ve written about insurance options for UAS a few times and I encourage those using UAS to look closely and get legal advice about their options. I also am sharing a link to his company’s Facebook page. The cover photo is actually one of mine – taken during an on-the-water photo lesson with Onne van der Wal a few years back. 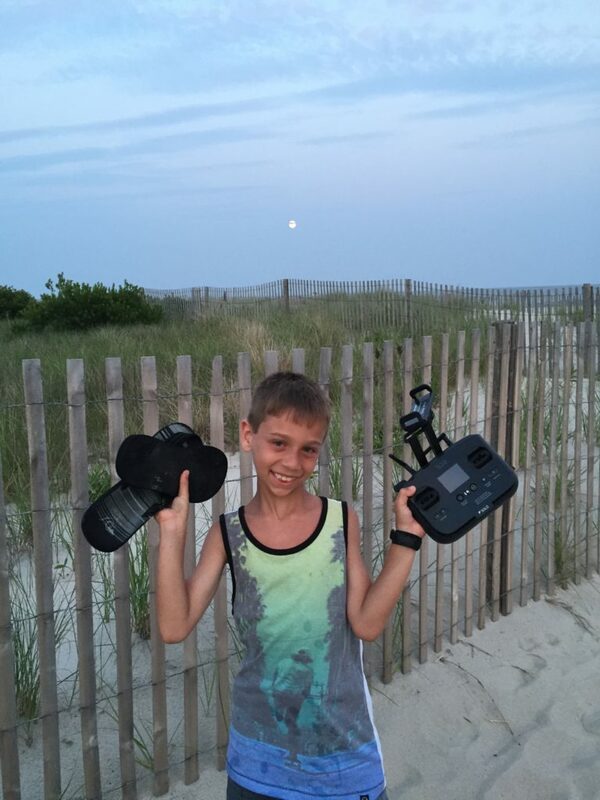 Today is my son’s 10th birthday and it’s been almost two years since we had a great vacation down in Cape May and I took these photos with a 3DR Solo, so hence the cover photo. My 10 year old son with a 3DR Solo controller in his hand. The header picture is him with our three year old. Both are on the beach at Cape May, New Jersey. The Phoenix ACE RAD is reportedly the first Radiation Monitoring UAV out on the market. The detection payload components are being offered by BNC Scientific. I wonder how the components have been designed to limit radiation effects on the hardware, but that is likely export controlled and can’t be published online. A new twist on firefighting drone development – a UAS that can hold a firefighting hose over a fire. This concept is well over the FAA’s Part 107 limitations but should be able to get a public use COA, if it makes it into development. The article discusses technical issues with the current numbers. Nasdaq reports that Boeing subsidiary Insitu Won an $8M Bid for operational-use Blackjack UAS from the U.S. Naval Air Systems Command, Pax River, MD with USMC funds for use by the USMC. A Washington Post article about ISIS drones. Further East, on the better side of news, a top member of the Haqqani terrorist network has reportedly been hit in a UAS strike. The Israeli Air Force has been logging record flight hours and is planning the future of their UAS operations. I’ll finish with a video. One someone took of Muscle Beach – this beach in California has a history of which I was not aware! On May 25, 2017 (coincidentally my Birthday), S.1272 – Drone Federalism Act of 2017 was introduced in the Senate for Consideration. It would amend Section 336 of the FAA Modernization and Reform Act of 2012 and return to the states certain powers that have been claimed by the FAA. I’ve bolded/italized the most pertinent changes proposed by the bill. This is certainly controversial, and I’d love to get feedback. Email it to me at dave@dukeofdrones.com. This will be a subject of discussion at my Drone Law class at George Mason Law this week, so I’ll update with thoughts from my students! I am also linking to an article written by two gentlemen from the Heritage Foundation, of which I am a fan. Entitled “Drones Are About to Revolutionize Our World. 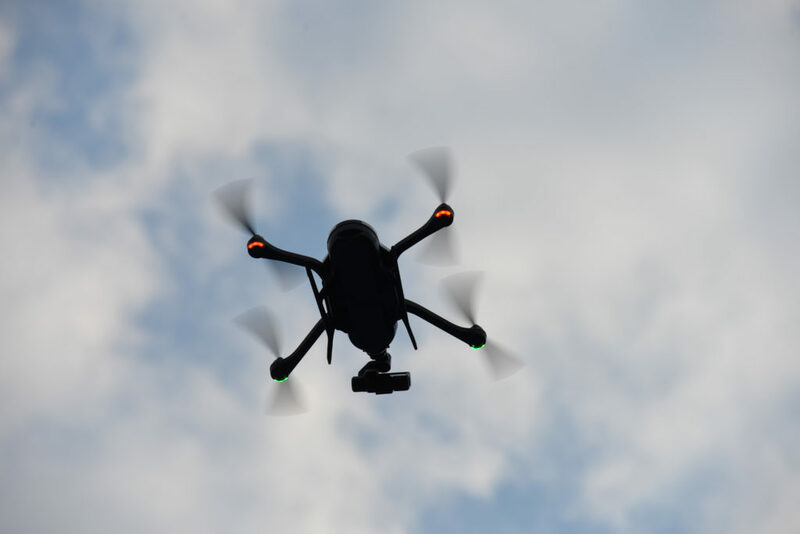 This Bill Will Let America Lead the Drone Economy,” and written by Jason Snead and John-Michael Seibler, it supports the return of recognized police powers to the states (the cover photo for this post is a great shot from their article and credited to iStock Photos). It’s a great start, but I think we still need to work on the language of (E) and (F), which are very broad. While states should be allowed to experiment, hopefully we’ll get some better industry feedback on how to address these two sections. Of most concern is that both the FAA and states deal with reckless operations and while (F) is laudable in theory, the bill should explicitly provide protections for operations. Otherwise, states could use (F) to issue virtual blanket prohibitions. Here is a little history regarding the legal theories on airspace. The bill seems to accept a theory between the “Ownership to a Fixed Height” theory and the “Possible Effective Possession” theory. What isn’t accounted for is the differences between rural, suburban, and urban areas. The 200’ rule is a bit too rigid for nation-wide application. Lord Coke’s old ad coelum maxim – owner of the land owns the airspace above it without limit. Most threatening to the aviation industry – never adopted by any court as applied to aviation cases. Owner owns the airspace above his property, but it is subject to a public easement to aviation traffic. The land­ owner is once again recognized as the owner of all the airspace above his property. When an aircraft traverses his property, a trespass has occurred, but this trespass is privileged. The privilege acts as a defense to the claim of trespass. The property owner will only prevail when it is found that the privilege was abused or exceeded. This theory is the first of two variations of the “zone” concept. All air­ space above the boundary, a fixed altitude above ground level, is public property. All airspace below the boundary is the property of the landowner. Under this approach, a landowner’s airspace property rights are limited to a fixed height of effective posses­sion. This height depends on the nature of the land and its possible uses. For example, this height limit would not allow for the building of the Empire State Building in the middle of a Kansas wheat field. A very effective argument could be made, however, for fixing this height limit to allow for the construction of a grain silo or similar structures that are common to that type of land. This twist on the “zone” concept forces the court to determine just where the property rights boundary exists in each case. Once this is done, the application of this theory is identical to that of the “Ownership to a Fixed Height Theory.” All airspace above the possible effective possession of the landowner is public property to which the owner can claim no legal right. Provides the landowner rights to only that airspace which is actually occupied. An overflight is com­pensable only when actual physical damage to the under­lying property has occurred regardless of the altitude flown. Causby’s chicken farm was less than 800 yards from the end of the runway. The Court of Claims found that there had been a taking for which the Causbys were entitled compensation. The court then concluded that an easement worth $2,000 had been taken, but made no finding as to the specific nature of the easement or its duration. Supreme Court granted certiorari in order to determine if the Causby’s property had been taken within the meaning of the Fifth Amendment. Quickly dis­missed Lord Coke’s ad coelum doctrine as inappropriate to aviation overflight cases. The Court concluded that a property owner owned the “superadjacent” airspace above his property, and an invasion of this airspace should be treated as an actual invasion of the surface. Can infer that an interfer­ence with the enjoyment and use of the land occurs when the value of the property has diminished due to the over­ flights. At a minimum, the landowner owned as much airspace above the ground as could be occupied or used in connection with the land. Although the Court conceded that the definition of “property” is normally obtained by reference to local law, the Court seemed to consider its opinion as defining airspace property independently from any state definition. After determining that the Causbys in fact deserved compensation for an easement that had been taken over their property, the Court remanded the case to the Court of Claims for a determination of the nature of the easement. Cited propositions from cases representative of nearly all of these theories. The ad coelum theory and the Hinman “no ownership” theory were certainly dismissed. The Court did seem to adopt the “possible effective possession” theory as the absolute minimum protection to which the landowner was entitled. The Court also addressed the “fixed height” concept. Post-Causby decisions have, for the most part, completely misread the Supreme Court’s analysis. The court had separately stated in dicta that navigable airspace is defined as the “airspace above the minimum safe altitudes of flight prescribed by the Civil Aeronautics Authority,” which at the time was 1,000 feet – a statement interpreted by later courts to mean that any flights below this specifically defined altitude would be a taking. See, e.g., Smith v. New England Aircraft Co., 270 Mass. 511, 170 N.E. 385 (1930); Burnham v. Beverly Airways, 311 Mass. 628, 42 N.E.2d 575 (1942). Hinman v. Pacific Air Transp., 84 F.2d at 755. To preserve State, local, and tribal authorities and private property rights with respect to unmanned aircraft systems, and for other purposes. This Act may be cited as the “Drone Federalism Act of 2017”. SEC. 2. Preservation of State, local, and tribal authorities with respect to unmanned aircraft systems. (E) restricting nuisances and noise pollution. (1) IN GENERAL.—In prescribing regulations or standards related to civil unmanned aircraft systems, the Administrator shall ensure that the authority of a State, local, or tribal government to issue reasonable restrictions on the time, manner, and place of operation of a civil unmanned aircraft system that is operated below 200 feet above ground level or within 200 feet of a structure is not preempted. 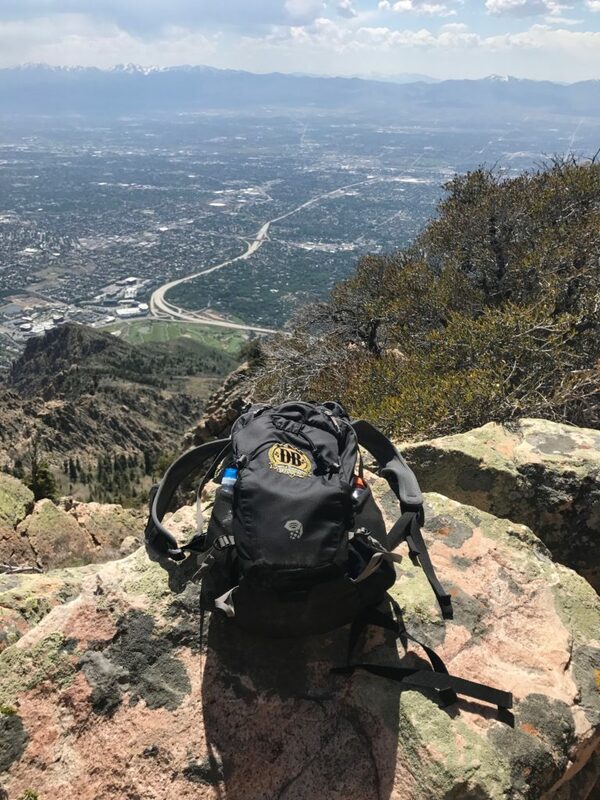 (B) Prohibitions or limitations on operations in the vicinity of schools, parks, roadways, bridges, or other public or private property. (C) Restrictions on operations at certain times of the day or week or on specific occasions such as during parades or sporting events. (D) Prohibitions on operations while the operator is under the influence of drugs or alcohol. (E) Prohibitions on careless or reckless operations. (F) Other prohibitions that protect public safety, personal privacy, or property rights, or that manage land use or restrict noise pollution. SEC. 3. Preservation of private property rights. (a) Affirmation of applicability of constitutional takings clause to Federal Aviation Administration regulations.—In prescribing regulations or standards related to civil unmanned aircraft systems, the Administrator shall not authorize the operation of a civil unmanned aircraft in the immediate reaches of the airspace above property without permission of the property owner. (3) by adding at the end the following: “(6) when flown in the immediate reaches of the airspace above property (as defined in section 3(c) of the Drone Federalism Act of 2017), the operator has the permission of the property owner.”. (3) any area where operation of the aircraft system could interfere with the enjoyment or use of the property. SEC. 4. Pilot program on Federal partnerships. (2) the Administrator and such governments shall coordinate efforts with respect to the enforcement of regulations relating to the operation of civil unmanned aircraft systems. (2) not less than one State government, not less than one county government, not less than one city government, and not less than one tribal government. (c) Unmanned aircraft systems traffic management system.—The Administrator shall coordinate with Administrator of the National Aeronautics and Space Administration to ensure that participants in pilot programs established under subsection (a) are consulted in the development of the unmanned aircraft systems traffic management system under subsection (a) section 2208 of the FAA Extension, Safety, and Security Act of 2016 (Public Law 114–190; 49 U.S.C. 40101 note) and the pilot program under subsection (b) of that section. (d) Report required.—Not later than 2 years after establishing the pilot programs required by subsection (a), the Administrator shall submit to Congress, and make available to the public, a report identifying best practices for State, local, and tribal governments to regulate the operation of civil unmanned aircraft systems and to collaborate with the Federal Aviation Administration with respect to the regulation of such systems. (B) any State or local government relative to any Indian tribe. (1) ADMINISTRATOR.—The term “Administrator” means the Administrator of the Federal Aviation Administration. (2) CIVIL.—The term “civil”, with respect to an unmanned aircraft system, means that the unmanned aircraft is not a public aircraft (as defined in section 40102 of title 49, United States Code). (3) INDIAN TRIBE.—The term “Indian tribe” has the meaning given that term in section 4 of the Indian Self-Determination and Education Assistance Act (25 U.S.C. 5304). (4) LOCAL GOVERNMENT.—The term “local”, with respect to a government, means the government of a subdivision of a State. (5) STATE.—The term “State” means each of the several States, the District of Columbia, and the territories and possessions of the United States. (6) TRIBAL GOVERNMENT.—The term “tribal”, with respect to a government, means the governing body of an Indian tribe. (7) UNMANNED AIRCRAFT; UNMANNED AIRCRAFT SYSTEM.—The terms “unmanned aircraft” and “unmanned aircraft system” have the meanings given those terms in section 331 of the FAA Modernization and Reform Act of 2012 (Public Law 112–95; 49 U.S.C. 40101 note). This post is on more of a personal note, but drones came unexpectedly into a situation and I wanted to share in a somewhat random post. You’ll have to read on to find out what this all had to do with drones! On Sunday I ran the Reston Sprint Triathlon in Reston, Virginia. 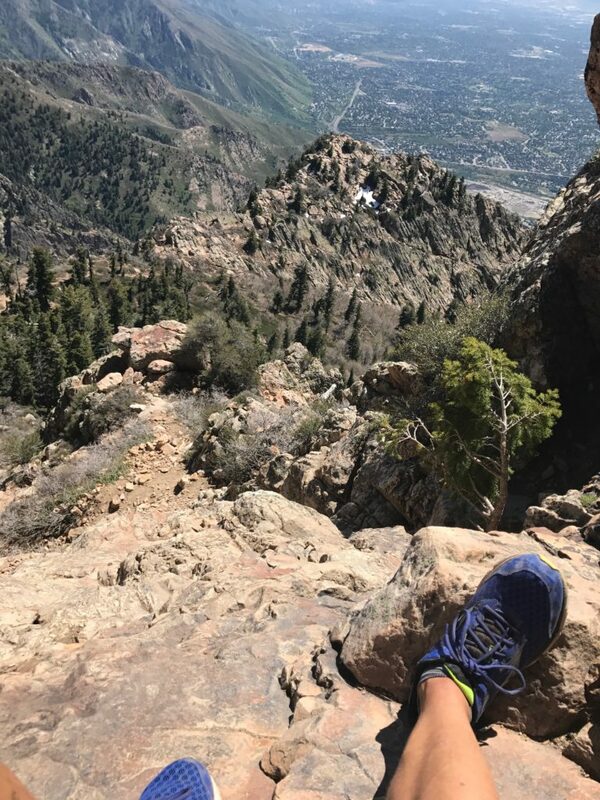 I was a bit sick and had pulled/strained/somehow injured my quads while hiking Mount Olympus last week during a trip to Salt Lake City (as a complete tangent, I just read an article about how working out “in nature” is great for both mind and body, so hopefully more hikes are in store in Western Virginia). To keep it at least marginally about drones, here is a map of the airspace around Salt Lake City – I did see small general aviation (manned) aircraft below me as I was hiking. 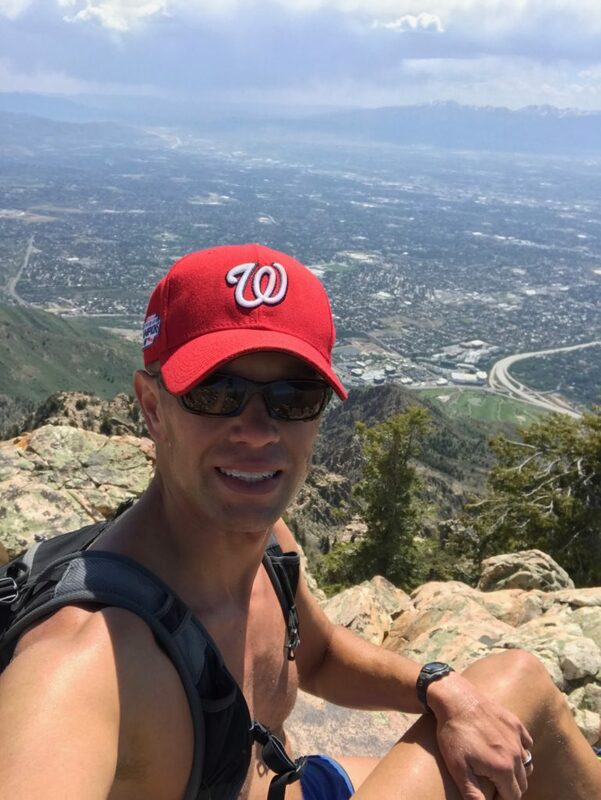 The scariest part of the hike – near the summit of Mount Olympus, Utah. 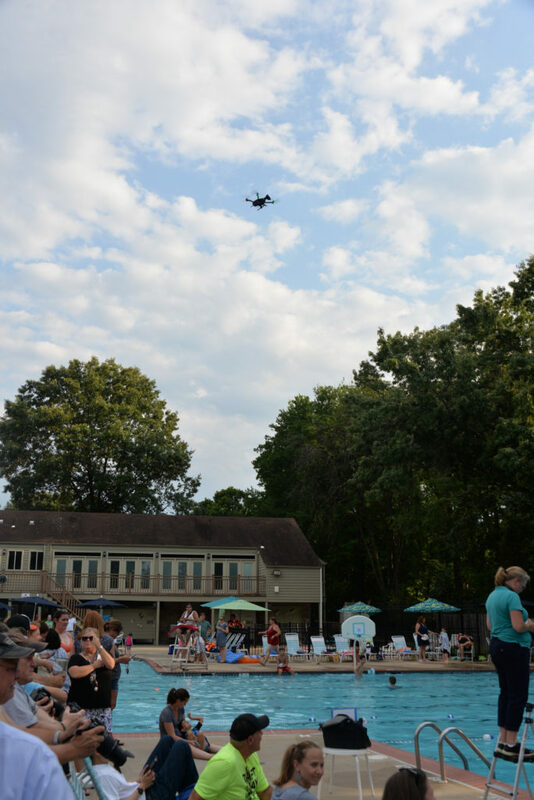 Back to the race…there was a drone at the finish line! It was being controlled by Franz G Photography, and although he hasn’t posted pictures from the 2017 race yet, I have included a link to his 2016 race photos. Here are a couple photos of his DJI Phantom and Franz. I’ll spare you any post-race photos of me, but I emailed him and will update this page once his drone video/photos are available. 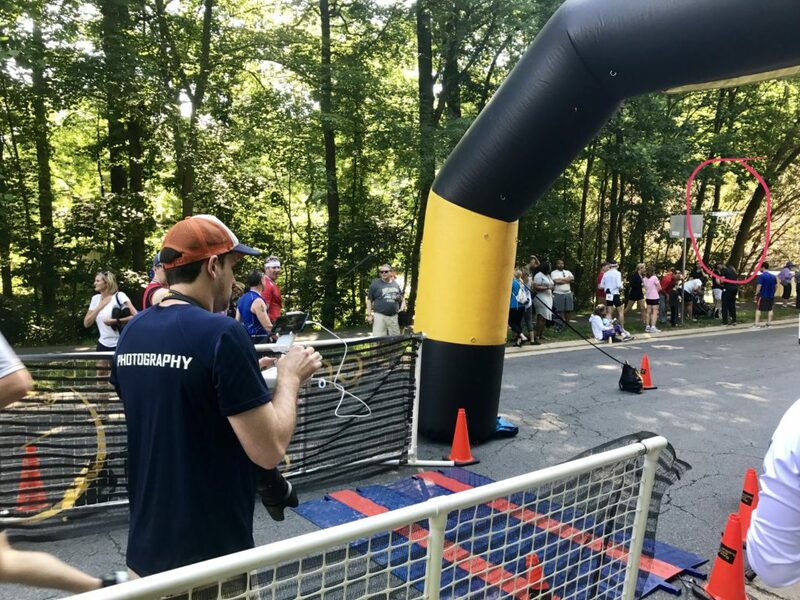 Franz with his DJI controller and note the pro camera with zoom lens at the Reston Sprint Triathlon 2017- he was taking still shots while keeping the drone in the air filming with auto pilot. I give him great props – I have trouble just piloting a drone. He was able to get close shots of finishers with both the UAS and his SLR at the same time, without hitting anyone! 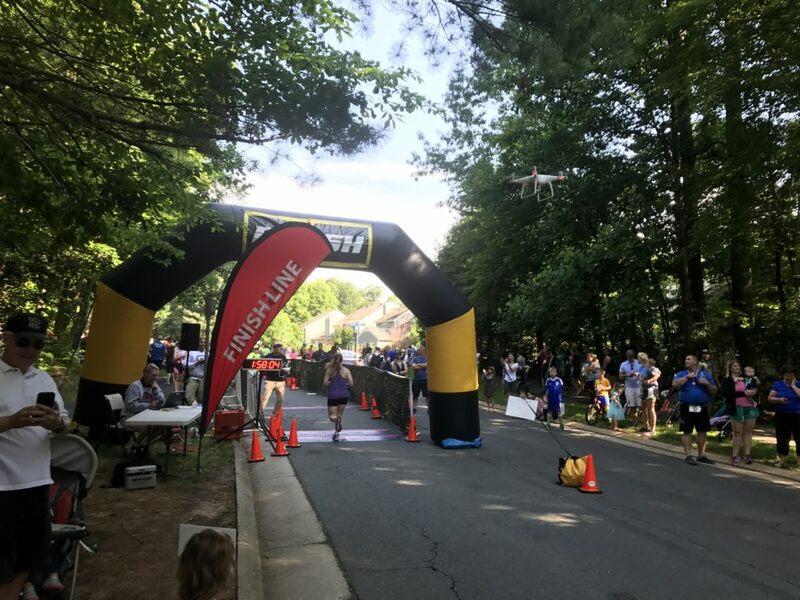 The drone is to the upper left of the finish line. Reston Sprint Triathlon 2017. My son wants a drone for Christmas. Thanks Franz! 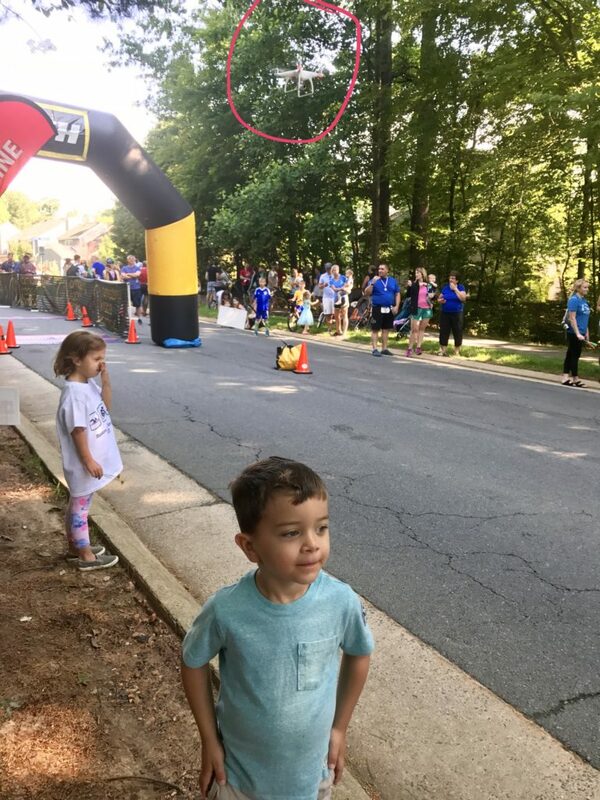 I think he told me about the drone before saying “hi” or “good job.” I swear kids are magnetically attracted to drones… Great way to capture the finish at the Reston Sprint Triathlon 2017! I noted the race location. More on the Morman Temple in a minute. It’s so close that I can’t tell if we’re within Dulles’ Class B airspace. 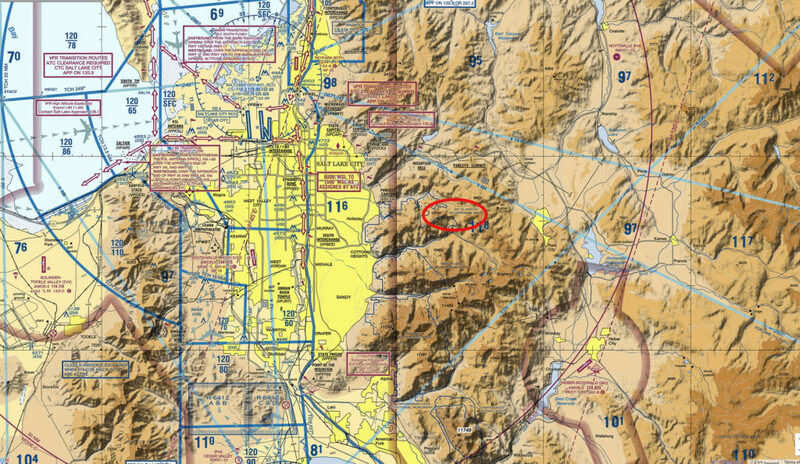 The race was outside of the FRZ but inside of the SFRA so NOTAM 6/1117 applies – so one needs to be operating under either a 333 exemption for Part 107 (The FAA’s website still links to FDC 6/2062, which is basically identical except for the Part 107 language but the website does say between 15-30 nm of DCA that UAS operations are permitted with limitations). While writing about this, I came across a video that is worth one final tangent. You’ll see on the map above that the Mormon Temple north of DC is prominently marked. The Jesus Christ Church of Latter Day Saints’ temple in SLC (often referred to as “Mormons”) is also the center of Salt Lake City (the city was founded as the Mormon’s went west and the geographic center of the city’s grid) so I clicked through to a link of a UAS video of the DC LDS temple. It is stunning. Drone Dispatch performed the delivery on behalf of LaMar’s, and in the video they state that it was all done legally. Based on their website, I’m assuming they are operating under Part 107, but I’ve reached out to them to find out more. Since Denver’s airport is well outside of the city, I believe they are operating in Class G airspace, but it is clearly a congested area and over people so a waiver under §§ 107.200 and 107.205 of the §107.39 (Operation Over People) provision would have been required. 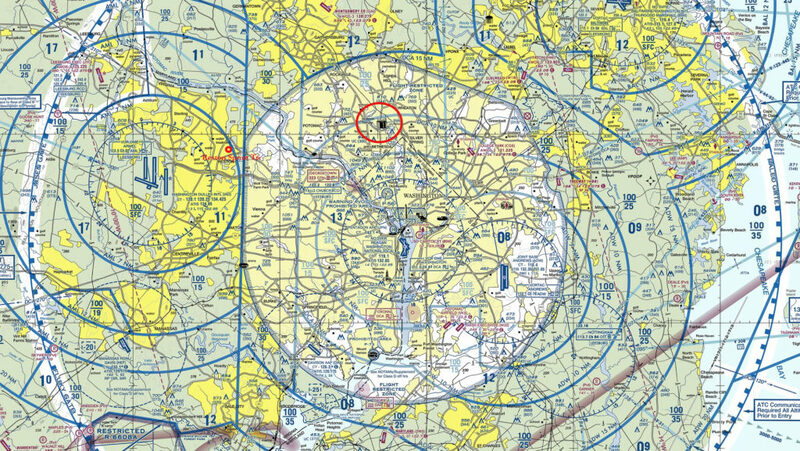 Note, however, that they likely also needed prior authorization from ATC because they are within the “lateral boundaries of the surface area of Class E airspace designated for an airport” under §107.41. I’m assuming that given the short distance of the flight (less than a mile as the crow flies, if from LaMar’s on 6th to City Hall), that they had eyes on the UAS the entire time IAW §107. Also, remember that §107.23(b) allows objects to be dropped as long as it does not create an “undue hazard to persons or property.” However, from the video it appears that a Drone Dispatch employee actually took the bag from the drone, so it wasn’t actually “dropped.” (As a side note, I’m curious why the FAA didn’t use the same language as in § 91.15 “No pilot in command of a civil aircraft may allow any object to be dropped from that aircraft in flight that creates a hazard to persons or property. However, this section does not prohibit the dropping of any object if reasonable precautions are taken to avoid injury or damage to persons or property.” It seems to have the same legal effect…any insight out there, please send me an email). With AUVSI’s XPONENTIAL out in Denver next year, hopefully LaMar’s makes a delivery and, if I’m able to make it, I can taste them for myself!